If you are curious, skeptical, or just need to know a little more before you get started you've come to the right place. You will be able to learn a little a more about how to Get Out Of Shape®. Learn how it can improve your life every day. Freeing clients from pain and stiffness in order to access their full life and athletic potential is our greatest joy. Life is too precious to live with pain, stress, tension, or even stiffness. Physical challenges can keep us from enjoying our lives, our families, even our favorite activities. In order to Get Out Of Shape you will be experiencing a Somatic education process. Your body will be learning how to move freely without stiffness and pain. You are not just temporarily "treated" by someone else, you will be learning a skill that will help free you from your own pain and increasing your own flexibility and mobility with Ryan. You can learn to move freely, without pain, anytime, anywhere for the rest of your life. Be sure to read some of the Reviews from clients who know how to Get Out Of Shape. Everyday you move your body into a variety of different shapes. Your "body shapes" (similar to posture) are learned and created from work, athletics, traumas, the way you sleep, and many other life activities and inactivities. Some of these body shapes are more familiar such as standing, sitting, or lying down. Other body shapes are more subtle such as twists, tilts, constrictions and typically go unnoticed. All of these types of body shapes become a problem when they get stuck and literally won't let you go. Many times your body shapes are actually just chronically contracted muscles. These contracted muscles can come from injury, stress, stillness, or repetitive movements. Over weeks, months, or years, people begin to collect these body shapes - a collection of chronically contracted muscles. Young athletes, office workers, mothers holding babies on their hips, and inactive retirees can have contracted muscles. Everybody can create body shapes that get stuck, feel painful and reduce your freedom of movement which limits your ability to live your life fully. Below are just a few of the ways you get into shapes during your daily life. These are some of the common shapes and postures which can form and eventually cause our pain or stiffness. Stress, daily repeating activities, mood, or even accidents can form our shapes, which can turn into stuck and chronically contracted muscles. If you haven't been finding solutions to your physical health problems with therapy, medication, or surgery you may have chronically contracted muscles. As those tight muscles can continually stay "on" and pull you into limiting shapes, they can become an underlying contributor to many physical health issues, diagnosed or not. Below is a general list of possible common physical complaints that many clients have found they can now alleviate, prevent, and even reverse. Below are just a few of the many aspects of clients' lives that they have successfully been able to improve once they know how to Get Out Of Shape. This website describes Somatic education in very plain terms to get the point across quickly in this fast paced world we live in, but the science behind Somatics is based in neurophysiology and uses terms such as "sensory-motor amnesia," "pandiculation," "startle- response," "withdrawal response," "stretch reflex," "habituated responses" and other phrases to describe why and how the body holds it's muscles during and after activities and traumas. As life happens your chronically tight muscles can create the body shapes that we are here to help you address. Your chronically contracted muscles can hold in the same limiting body shapes for many reasons. Our reactions to stress, pain, and trauma can all be factors in causing stuck muscles. Also, if your muscles stay to long in the same shape, they sometimes get stuck in the same position, as if they have forgotten how to freely move into other positions. This can come from the effects of Sensory-Motor Amnesia. There is an unconscious forgetting of how to relax and even control muscles that are tight and stuck that way. Another important fact in understanding this process is that Somatics is brain-work - not body-work. Your brain actually controls your muscles. Muscles have no mind of their own, except for doing exactly what your brain and nervous system tell them to do. So, in essence: the brain's switch for certain muscles has gotten stuck in the "on" position. Pain and limitation can happen over time as stuck muscles constrict and pull you into limiting shapes and the body is not able to function or move efficiently. People with tight stuck muscles feel stiff and tired which in turn makes them feel old. Dr. Thomas Hanna, the founder of Hanna Somatic Education® coined the term "Sensory-Motor Amnesia" (SMA), which really means that you have forgotten how to consciously release your own contracted muscles. Sometimes you may get so used to chronically contracted muscles and not even know that they are chronically tight and continually "on" all day and all night. Over time these tight muscles can cause a whole host of physical issues and limitations.. Even common activities like reading or using your cell phone can create stuck shapes in our bodies, which can compound over time to create more and more stiffness and increasingly limited movement. 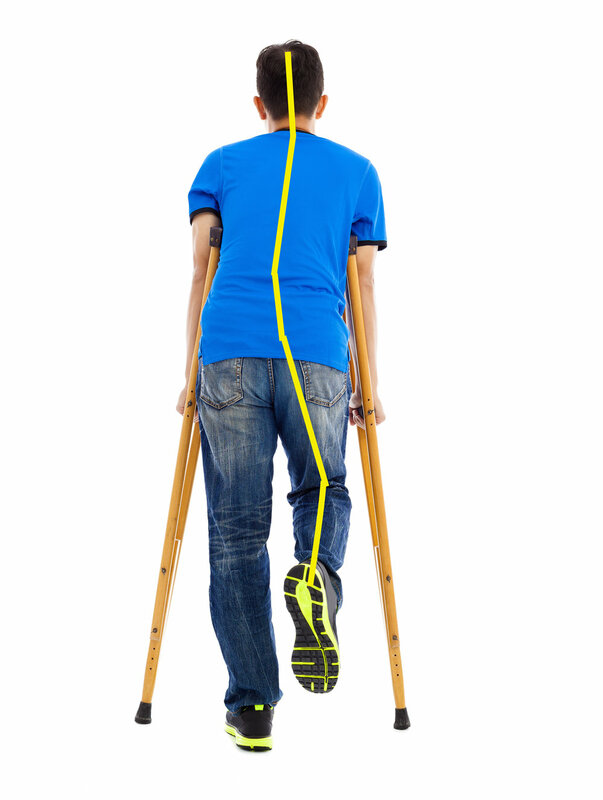 Forgetting how to move and control certain muscles can show up in things as simple as the stiffness we feel after sitting inactive at a desk for too long without getting up, the way stress can create tension in your neck and shoulders, or can be as extensive as compensating for the limp after a broken leg as you heal. In each of these cases, the muscles have stayed in one shape or length for so long that it can become a habit. This is where learning Somatic skills can help you to regain control of these over worked muscles and in turn, your life. Most people try to stretch muscles that are stiff. However, traditional static stretching is actually fighting your brain and is not what your body needs; instead, your brain needs to regain control of the muscles and allow them to lengthen. "Stretching" is often misused and mistaught so that the muscle is lengthened beyond its correct length. This form of forced lengthening of muscles can activate the "stretch reflex." The "stretch reflex" is where your nervous system actively resists your stretching and limits your goal of lengthening and releasing the muscle to its full and ready resting length. Learn how to work WITH your body rather than against. Learn to train your brain to release and lengthen your muscles with specialized Somatic movement rather than stretching by force. It's much easier, more pleasurable, with longer lasting cumulative results no matter how long you have been in these body shapes. 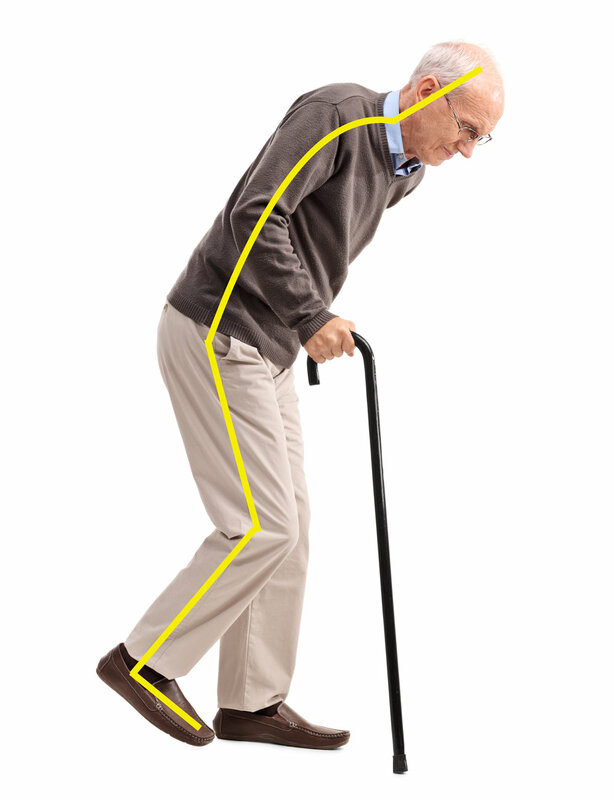 For many people, their shapes that come from chronically contracted muscles can go back weeks, months, years, or even decades. Their stress, repetitive movements, or accident traumas have kept their muscles in a constant state of overwork without much of a break to recover. This muscle stiffness becomes compounded by you trying to use the muscles that cannot relax or even contract all the way. Some people live for years with the pain from these stiff muscles. Most people eventually accept these stiff, achy, painful limitations as the inevitable aging process. The good news is that no one has to stay stiff, achy, or in pain: read on to learn how to Get Out Of Shape and free yourself through this experiential education process with Ryan Moschell, CHSE. Since you have created these shapes over time and have forgotten how to move your muscles out of their contacted state, your brain has to be re-educated through Somatic learning experiences so you can move your muscles freely again. Working with Ryan will help you to not only wake these muscles up but feel how tight they actually were. As you become aware of how this feels and how to move correctly, you will start doing your own regular movements (brain-work). The Somatic education experience is "neuro-muscular": The brain ("neuro") communicates with the muscles ("muscular") through a series of precise, useful movements. As you practice regularly, you will learn how to fully relax your muscles to be ready for action as you need them. Somatics is a cumulative discipline and over time you can re-discover freedom and ease of movement again. Ryan Moschell, your Clinical Hanna Somatic Educator, has been trained in the most comprehensive and specialized ways to get you to move freely again. He works with the one thing that therapy, medication, and surgery cant "cure," Sensory Motor Amnesia (chronically contracted muscles). He can show you how without difficult exercises or painful stretching. Dr. Thomas Hanna (and the educators that trained under his system) have treated countless individuals and taught them to release years of pain - sometimes in just a few sessions. Experience how Ryan Moschell focuses on a tailor fit plan with the fewest appointments necessary. With no drugs, no long-term commitment, and by creating long-term solutions, your private clinical session or workshop will help you feel better, move better, and live your best life possible by teaching you how to Get Out Of Shape. The good news is - because you learned how to get into your unique limiting shapes, you can also learn how to Get Out Of Shape. There is a way to give yourself freedom of movement and reverse what causes you pain everyday for the rest of your life. We offer three main ways for you to learn; In-Person Sessions, Webcam Sessions, Workshops, and Group Talks.